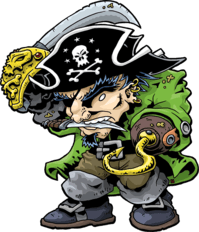 Green Ronin Freebooters – Run games for us! Welcome to the Green Ronin Freebooter GM Information Hub! Green Ronin Publishing is looking for some great new folks to run our games at select conventions. You may have seen us promoting our program at GaymerX and Gen Con, but for 2018, we’re expanding out to more shows. Here’s some information about various shows we’re looking for folks to submit games. Many of our games, especially Mutants & Masterminds, are on the list of Gen Con High Demand Games. Over the years, we have also received a lot of requests for more Dragon Age, plus we’re always happy for more Song of Ice & Fire. For 2018, we hope to expand that out more with lots of submissions for Blue Rose RPG, The Lost Citadel RPG, Fantasy Age, Titansgrave, Freeport, Critical Role Campaign Setting, Lazarus, Love 2 Hate, and more. Green Ronin arranges for a GM Badge in return for 12-hours worth of game time scheduled. For 16+ hours of game time scheduled, we will reimburse your hotel based on ¼ of a regular rate. As an example, if a room is $200 per night we’ll pick up your part, so $50 per night! Green Ronin must submit your games to count towards the GM Badge reimbursement and hotel room reimbursement. You are still welcome to submit games via your favorite game group or other game companies, but we will only pick up badges/hotel reimburse for our submitted games. Don’t need a free badge or hotel reimbursement? We’d still love to feature your game! If you submit a game with your favorite gaming group, or on your own, let us know and we’ll promote your game via our social media and at the Green Ronin Publishing Booth. We’ll also be looking for Freebooter GMs at the following shows in 2017 and 2018! We will update the info here when we know what we can offer folks who can do the shows. If you’re interested in any of these shows below, please submit on the form at the bottom! https://greenronin.com/dragonagerpg/wp-content/uploads/sites/5/2017/10/FREEBOOTER-thumb-200x232-133.png 232 199 Evan Sass https://greenronin.com/dragonagerpg/wp-content/uploads/sites/5/2014/09/DragonAge_logo.png Evan Sass2017-10-06 20:53:542017-10-06 20:54:06Green Ronin Freebooters - Run games for us!